Bonnie loves to go camping. Bonnie Oropallo camping at the Smuggler’s Notch, Vermont camp site with her friends Robin Snow, Keum Joo Green, Patrick Tetreault, Bruce Carlson, Susan Oropallo and Charles Oropallo. Photo by Charles Oropallo. She seems to enjoy a hike better, but is certainly okay with camping as well. She loves being around a group of us. Bonnie doesn’t seem to mind sleeping in the tent. 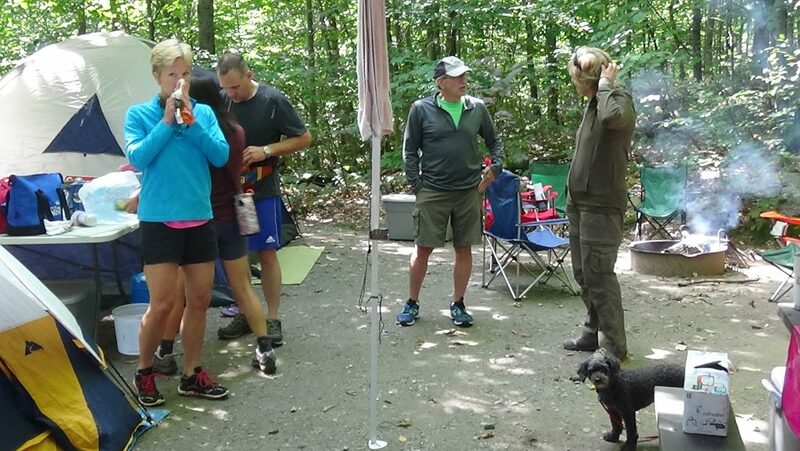 When Charles Oropallo and Susan Oropallo take Bonnie camping they keep Bonnie on her leash. Bonnie otherwise wants to run off and explore everything! Camping is another activity that presents the hazard of ticks for Bonnie. Of course, the tick hazard is one for us humans as well! This is a photo of a sign Charles Oropallo saw on a hike with Bonnie. 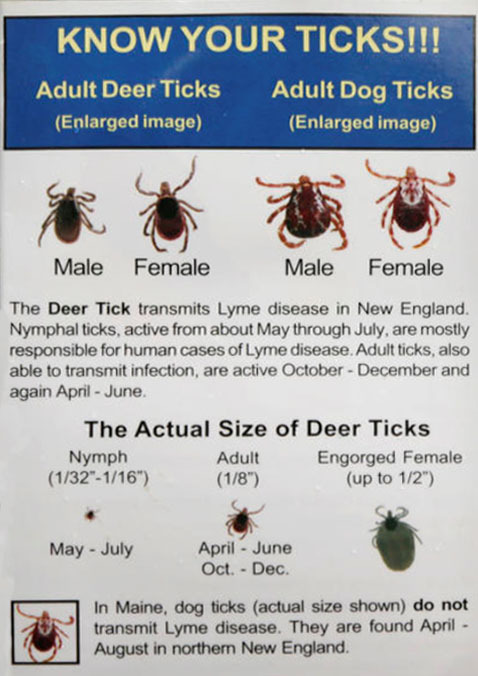 It points out information about adult deer ticks and adult dog ticks.